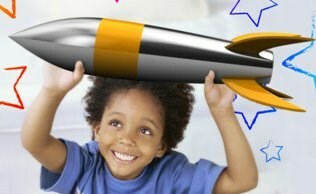 We're Ready To Spark The Imagination And Curiosity Of Your Preschoolers! Mad Science Preschool Programs are engaging learning experiences for preschool children aged 3½-5. 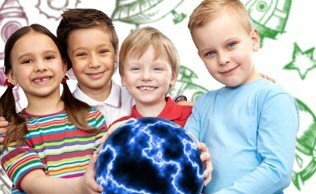 We come to your location and engage children in an interactive, age-appropriate exploration of a specific science topic. From air, our animal friends and butterflies to water, weather and worms, each themed program is designed to captivate the curious nature of young children. Preschoolers enjoy engaging demonstrations, perform simple experiments and discover how science can help us better understand the world! Our Preschool Workshops are ideal for small groups and our science shows are more appropriate for larger groups. Click here for more information.